Steeped in natural exuberance and soulful serenity, North Indian region represents utopian landscape. Its lush tea estates, gurgling waterfalls, enchanting mountain peaks and misty forests are treasure troves of beauty and transquility. Early morning start for Tiger Hill to watch the spectacular sunsine from the peak and to enjoy the almost surreal sight of golden rays of sun brings alive the mighty peak of Mt. KAnchendzonga. On your way back to the hotel you will be taken for a quick sightseeing tour to Ghoom Monastery and Batashia Loop War Memorial. At Ghoom Monastery bow to the 15 feet high statue of Lord Buddha and further move towards Batisia Loop War Memorial over a hilltop.Back at the hotel a delectable breakfast will await you and will befollowed by half day local sightseeing covering Padmaja Naidu Himalayan Zoological Garden to see the endangered species of Red Panda, Himalayan Mountaineering Institute and Tibetan Refugee Self-help Center Ropeway, Tensing Gumpo Rock, Tea Estate, Natural History Museum , Peace Pagoda. Also stroll around the Mall and Chowk Bazaar to explore the region and bag some beautiful trinkets as souvenirs from the region. Morning drive to your next destination, Gangtok and enjoy an en-route visit to Teesta. 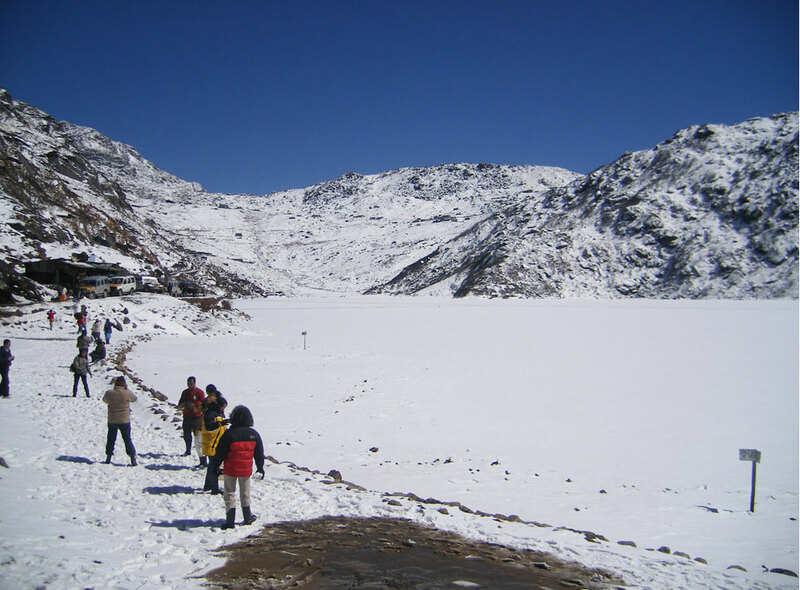 At an altitude of 5500ft Gangtok is the capital of the state of Sikkim. Beautiful and immaculate scenery, Gantok is a gorgeous town promising of the best monasteries and prettiest landscapes. On arrival check-into a hotel for overnight stay and then head for sightseeing tour of the region. Todays tour will include various famous tourist spots of the region such as, Directorate of Handicrafts and Handloom, Research Institute of Tibetology, Do Drul Chorten , Enchey Monastery, White Hall and Flower Show. If you have not decided yet or wants to customize tour itinerary or hotels listed above in "Mystical Flavours of North East India Package from Travel masti", then we can change the travel itinerary and make a personalized, tailor-made holiday package, especially for you. We can modify this travel package as per your itinerary, budget, duration and the tourist places you would like to visit, including transportation and airfare should be included or not. Please fill the form below to contact us.